If you get an error that the page cannot be displayed while logging into the chat system it may be due to an anti-virus program running on your computer. 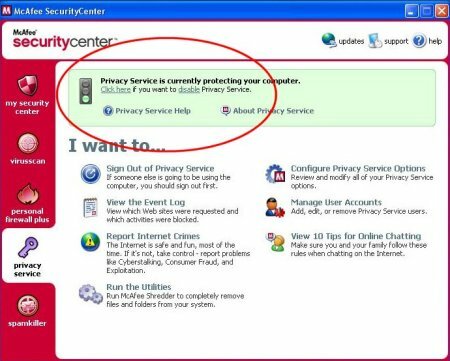 We have found that McAfee has to have its privacy settings adjusted to login to our chat system because we use an IP address in the URL. The image below shows how to do this. Simply disable the privacy service and you will be able to login to the chat system. If you are running another form of anti-virus software you may need to make similar adjustments to the settings of your particular program.